Make a life-saving fashion statement by wearing red! “GO RED for Women” is a national public awareness day urging women and people from all walks of life to “go red” to bring attention to the leading cause of death amongst women: heart disease and stroke. Heart disease is the No. 1 cause of death for women in the United States. 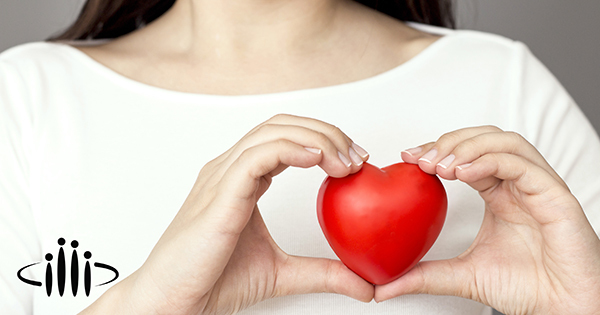 Cardiovascular disease in the U.S. kill approximately one woman every 80 seconds. The good news is that 80 percent of cardiac events may be prevented with education and lifestyle changes, according to the American Heart Association (AHA). As February is American Heart Health Month, on Fri., Feb. 1, help us turn BMH and eastern Idaho RED. Show your commitment to saving women’s lives by wearing something red, like a dress, tie, jacket, scarf, hat, blouse, shirt, or even a flower. This is a symbol of your support for women’s heart health. Heart disease refers to several types of diseases of the heart, blood, arteries, and veins. Having heart disease can often result in heart failure, heart attack, stroke, or peripheral artery disease. The risks for developing heart disease range from age, gender, family history, diet, blood pressure, level of cholesterol, diabetes, obesity, and stress. It doesn’t take much to improve your heart health. In fact, heart disease is about 80 percent preventable when you make the right choices. By making small improvements to your health, you will make a big difference. Start with one or two. Get Your Numbers: Ask your family doctor to check your blood pressure, cholesterol, and glucose. Keeping your blood pressure within the healthy range of the 130s/80s reduces the strain on your heart, arteries, and kidneys, keeping you healthier longer. By controlling your cholesterol, you are giving your arteries their best chance to remain clear of plaque blockages. Most of the food we eat is turned into glucose (blood sugar) that our bodies use for energy. Over time, high levels of blood sugar can damage your heart, kidneys, eyes, and nerves. Own Your Lifestyle: Stop smoking, lose weight, be physically active, and eat healthy. By quitting smoking, you’ll reduce your risk of developing cardiovascular disease. When you lose weight, you’ll reduce the burden on your heart, lungs, blood vessels and skeleton. A healthy diet is one of your best weapons for fighting cardiovascular disease.